Item officially donated to the archives' collection by Bill Marks, January 2019. 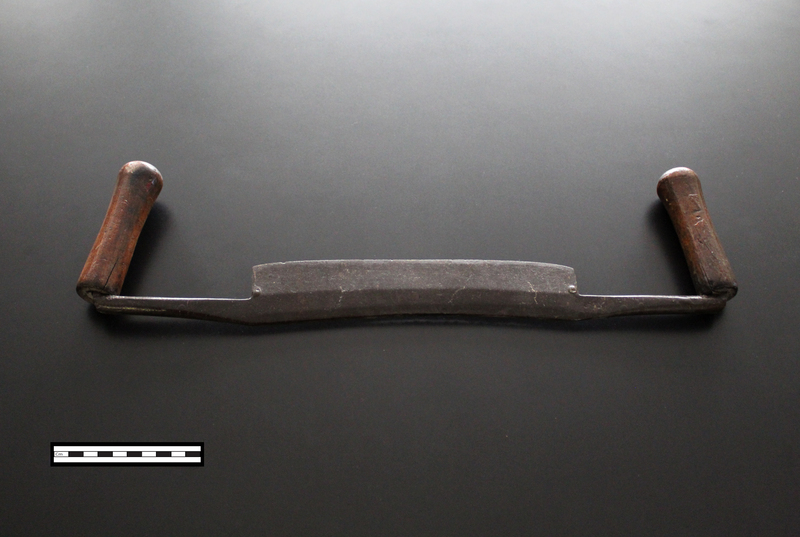 A metal and wood two-handled saw. It would be used for cutting wood in woodworking/carpentry. Part of a collection of woodworking tools and items owned by Walter Reeves and Joseph Mark (Mark was original spelling before it changed to Marks). Reeves was Bradford Town Constable and Mark was a railway worker. Donated by their grandson, Bill Marks.